Looking for the best 2018 Black Friday & Cyber Monday Canon EOS 5D Mark IV deals, sales, rebates and specials? Here is the buying guide for you! 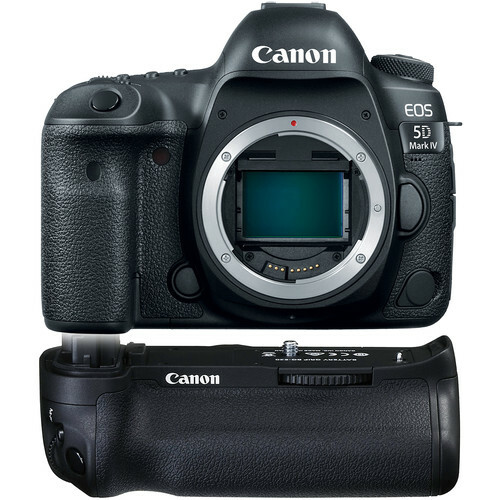 Offering amazing refinements in image quality, performance and versatility, the Canon EOS 5D Mark IV DSLR camera is an outstanding still photography option and an able 4K-capable video machine. Wedding and portrait photographers, nature and landscape shooters, as well as creative videographers will appreciate the brilliance and power that the EOS 5D Mark IV delivers. In addition, the Canon EOS 5D Mark IV DSLR camera achieved an impressive 87% overall score and Gold Award from the experts at DPReview. So just get it this holiday shopping season! $500 off + Free Battery Grip and Accessories on Canon EOS 5D Mark IV with Printer Bundle: (after 350 MIR) $2,799 at B&H, Adorama, with 24-70mm Lens: $3,549 at B&H, Adorama, with 24-105mm Lens: $3,699 at B&H, Adorama. $500 off + Free Battery Grip on Canon 5D Mark IV Body: $2,799 at Amazon, B&H, Adorama. $650 off + Free Battery Grip on Canon 5D Mark IV w/ 24-70mm f/4L IS Lens: $3,549 at Amazon, B&H, Adorama. $700 off + Free Battery Grip on Canon 5D Mark IV w/ 24-105mm f/4L II Lens: $3,699 at Amazon, B&H, Adorama. Read more: Canon Black Friday Deals 2018.